Lochleven Seafood Café offers a selection of fish, meat and vegetarians options served in an informal and relaxed atmosphere. Located on the shores of Loch Leven, Lochleven Seafood Café offers a selection of fish, meat and vegetarians options served in an informal and relaxed atmosphere. One of its signature dishes is its fresh shellfish platter. 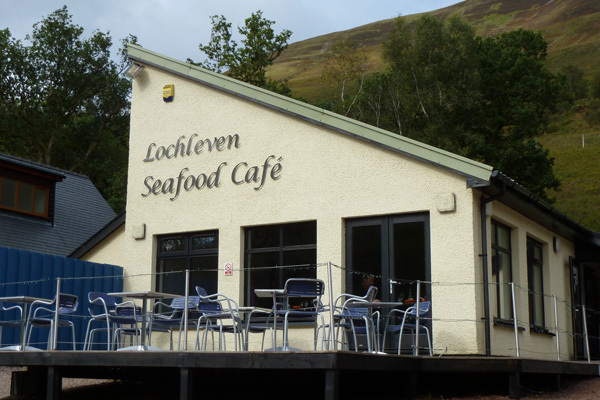 Lochleven Seafood Café was winner of the Scottish Seafood Restaurant of the Year in 2011. A lovely place to eat with fine views across Camus Mhor to the Pap of Glencoe.